Charger Electric Bicycles, Cargo Electric Tricyles, E-Bike kits, and More! Tricycles were quite the thing over a hundred years ago. Maybe not quite as maneuverable or portable as a bicycle, they do have advantages! 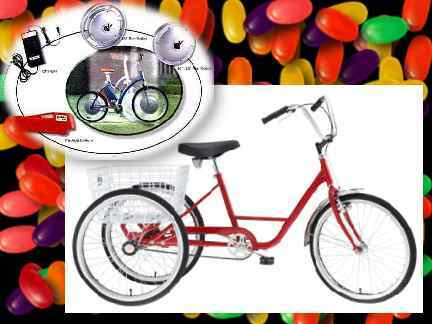 For the economy minded, our STANDARD style e-trike is based on the "Torker" Import from Taiwan. 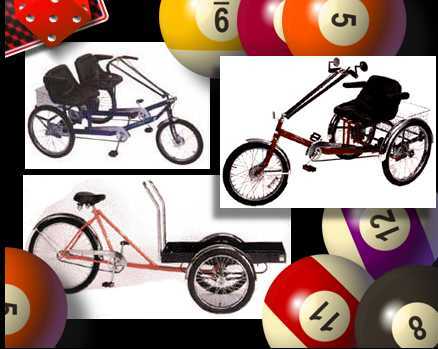 As a Worksman Cycle Dealer, we also offer top grade U.S.A. made SPECIALTY cycles for your e-kit! Worksman Cycles, Made in U.S.A. Check out WorksmanCycles.com for a full selection...then contact us with your style preference. We will also recommend options which offer value--to suit your individual needs! order today! Evercel nickel-zinc battery pack options will offer half the weight, or double the driving distance for the same weight as lead acid.